I was just going to say the same thing, Garrett!!! Really love the whole thing! I could live in this!!! I love everything except the nasty looking metal in the bathroom. New corrugated metal would have been much nicer looking. 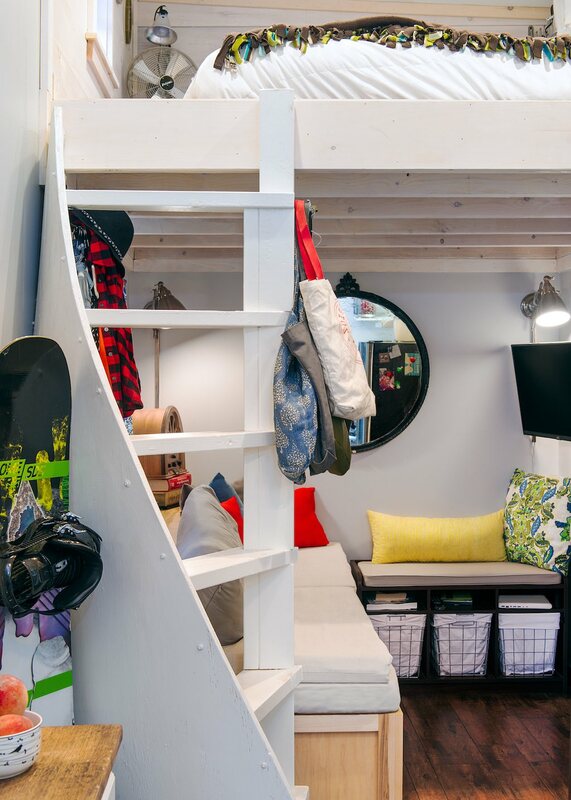 Esk’et tiny house inspired staircase? I love it! 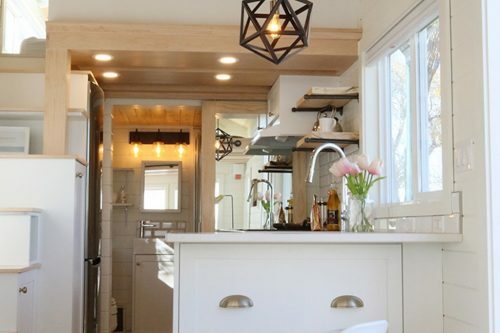 Perfect home, especially for anyone who cooks and bakes. The corrugated metal and mirror frame make for an eclectic image. 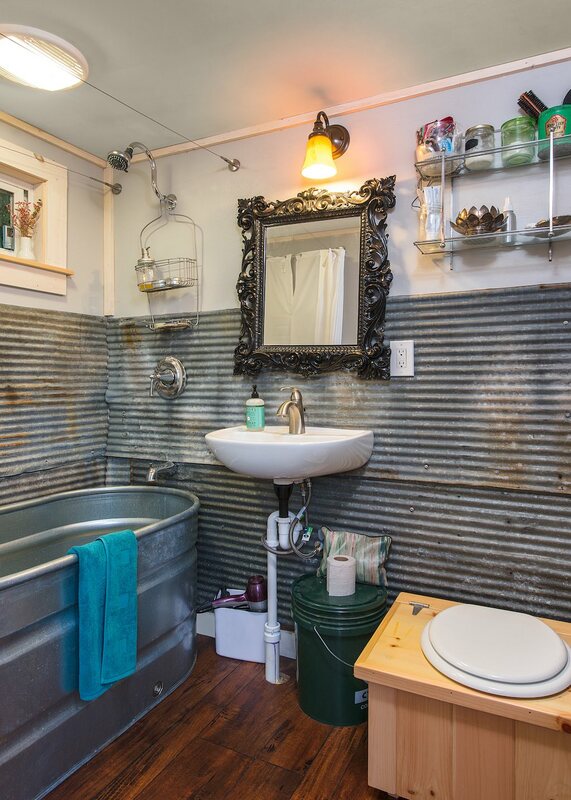 One question… I suppose I could look this up… But how hard/easy is it to keep a galvanized tub clean? And, do they warm up in the winter or does it take a lot of hot water to make them comfy? 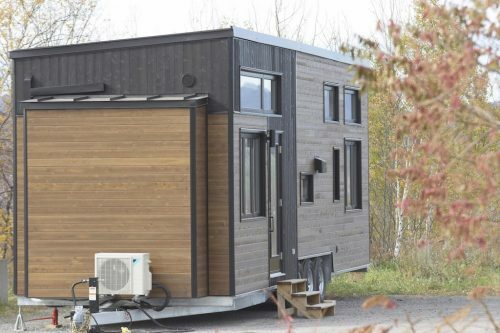 I was inspired by the Esk’et tiny house! I find it a great alternative to a ladder. I can’t speak to keeping the tub warm in the winter as I’ve never taken a proper bath in the tub-only showers. When it comes to cleaning, I use vinegar and baking soda but like I always have and squeegee excess water down the drain. Also, +1 for the KitchenAid mixer there — Mom and I have two, an old and a new — the old one is old enough that it’s got the Hobart logo on the side, and is great for anything /other/ than bread dough. It kind of stalls intermittently with bread dough… so we now have a much newer, beefier one that we use for that. I read in her blog that she chose the horse trough because she uses it for more than baths, like laundry and cleaning. Regarding the question about warming up, regular tubs are steel too, with a baked-on porcelain coating, I suspect that the steel for both is of similar thickness, so all other things being equal, the horse trough should warm up fine because while the vertical is bigger, it doesn’t have the front bend, so the thermal mass to a regular tub should be similar. And maybe a trough isn’t ideal for baths, but it’s fine for showers, it’s excellent for doing laundry, really incredible for doing a hot-tub soak (if you can get that much hot water) since it’s so much deeper, and if you happen to have a horse visitor, it’s hard to offer our equine friends liquid refreshment in a vessel any more suitable than a trough. Why does the first photo design look different from the photo with it attached to the truck? Did you change the design? For what accommodations did you change the design of the roof? There is a dormer over the loft so the roof has hardly any pitch in the section then it transitions to a shed roof with a steep pitch. This is hard to see from the front. What a great living room! That’s a new twist on t.h. layouts. Love the spiral stairway and roomy loft. 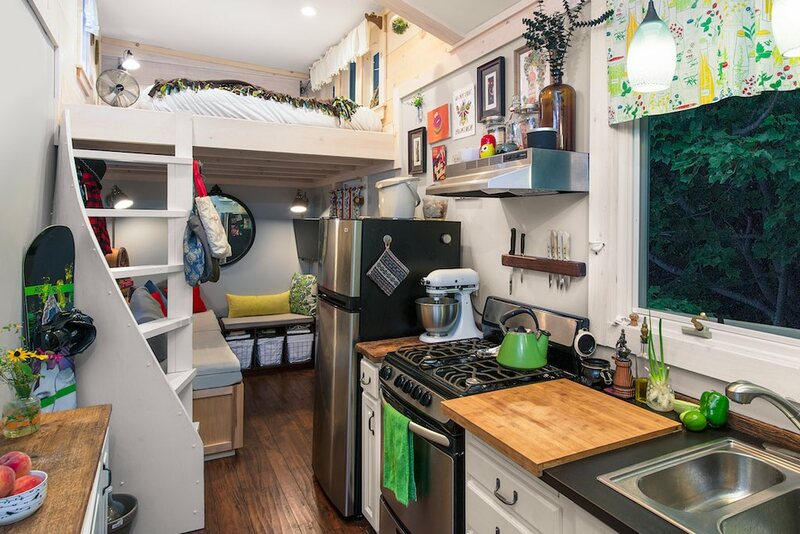 Might change the kitchen a little, it’s a really cool home. 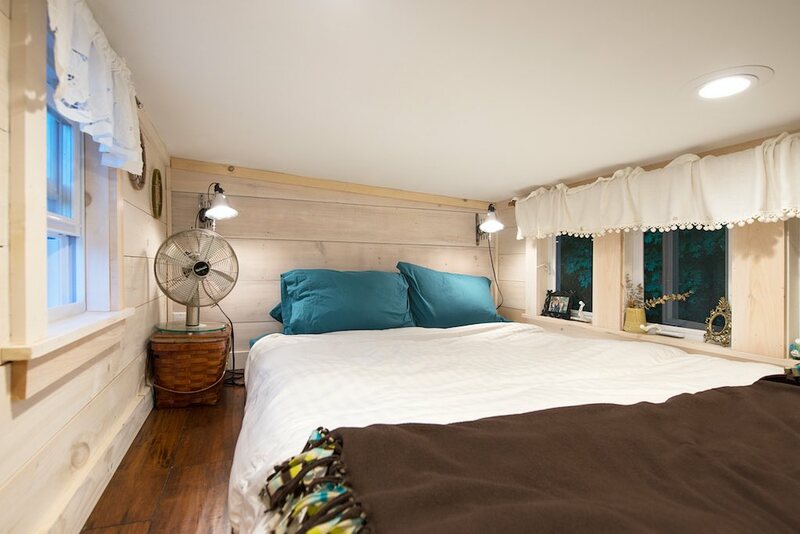 Its very nice except for that reclaimed metal in the bathroom and the trough for a bath. Those two should be replaced. Other than that it is very cozy and nice. My swell friends had a horse trough tub 20 years ago. They’re on their second now. It’s as warm as the water you put in it. Never used a composting toilet, but having a standard one overflow is thoroughly disgusting, so I’m up for composting. And I’ve had a cat. Just don’t use Fresh Step or clay litter, is all I ask. Sawdust sounds dandy, smells ok.
Love this house.I always imagine being stuck inside by horrible weather:are there a variety of spaces? Would there be room for amusement? How would it look on a dismal day? 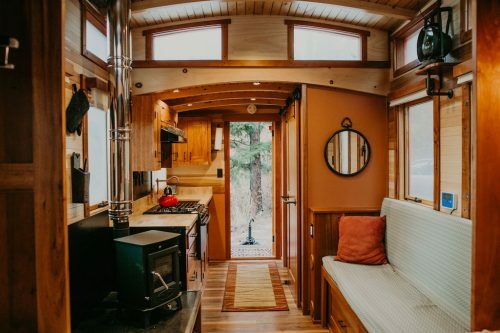 This TH is perfectly cozy but not claustrophobic. Great job! 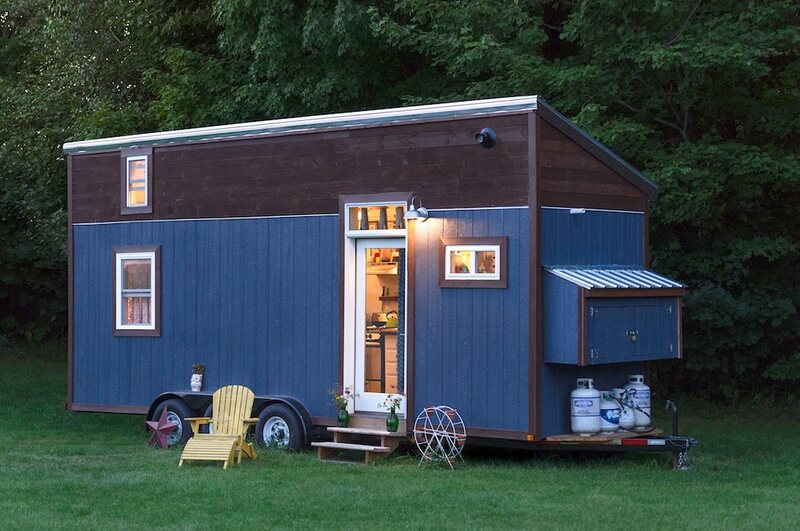 I saw you and your tiny house builder on Tiny House, Big Living. I loved your episode. You and your builder (forgot his name) have great and opposite personalities. 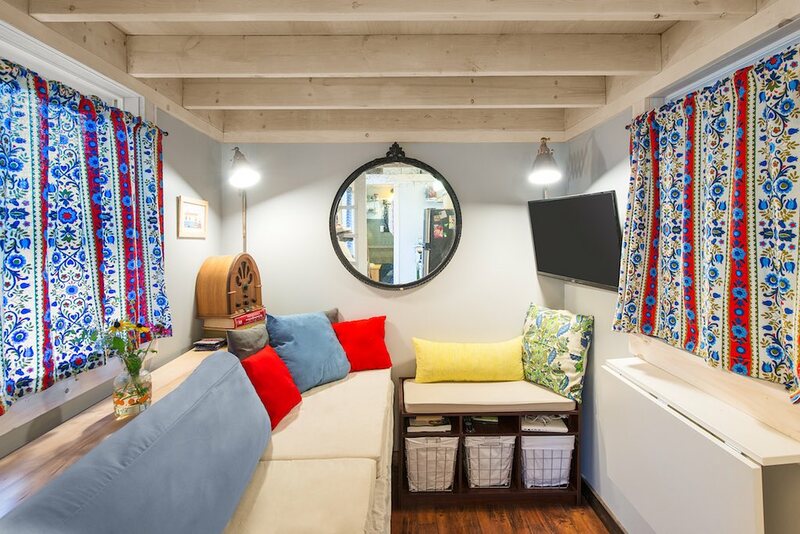 To get away from politics, I look at my saved tiny house shows. Your house is one of the episodes I look at the most. It looks comfy and like a real house. 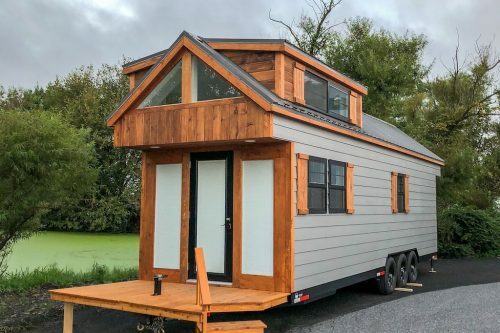 Like someone said earlier, your tiny house is designed for someone to come home to after a hard day’s work, or to feel comfy in during bad weather. A great job for a 24-footer.